MIAMI -- A notorious Florida conman will serve his 20-year sentence in solitary at the infamous federal Supermax prison — at his request. A federal judge granted Jimmy Sabatino's request during a Monday hearing in Miami. The South Florida Sun Sentinel reports Sabatino told federal Judge Joan Lenard the only way to stop him from committing cons is to keep him from contacting the outside world. Sabatino pleaded guilty to running a $10 million fraud from his cell at Miami's federal jail where he was being held for an earlier fraud. In his latest con, the 41-year-old Gambino crime family associate used smuggled cellphones to dupe luxury retailers to send jewelry, watches and other items to his outside co-conspirators. The Supermax penitentiary in Florence, Colorado, holds some of the nation's worst criminals. 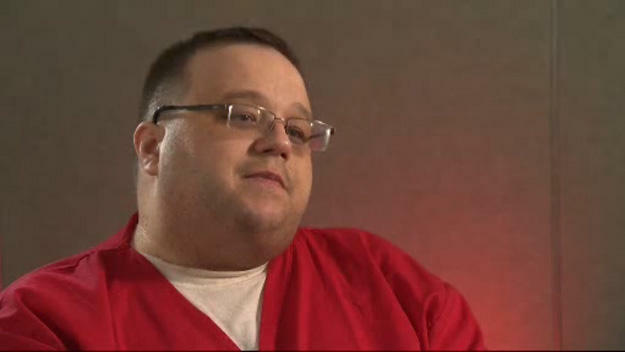 Sabatino has been in and out of prison his entire adult life. His past crimes include posing as an entertainment mogul to gain hundreds of free Super Bowl tickets and posing as a music executive while running up hundreds of thousands in unpaid hotel bills, according to the Miami Herald. Sabatino spoke to CBS Miami in 2014, after he pleaded guilty to grand theft and organized fraud. He said he pretending to be a Sony Music executive or a Warner Brothers producer, he would book large blocks of rooms, including villas and presidential suites, with nothing more than audacity and a Gmail account. The SLS, the Hilton Bentley, the Eden Roc, and the Omni Hilton, all fell victim to Sabatino's talents. Over a three month stretch, Sabatino ran up more than $600,000 in room charges before skipping out on the hotel staff before they realized Sabatino wasn't with Sony or Warner Brothers, CBS Miami reports. "I would literally scratch my head in amazement that it worked, that it happened," he said. "It defied logic." Although he now said being Supermax is the only way he would stop committing cons, he told CBS Miami in 2014 that being a con man "don't define me." "In my entire career of being a con artist, I've never stolen anyone's pension, I've never took anyone's personal money, my victims have always been companies, corporations," he said in 2014. "Again I'm not justifying it but I'm saying in my mind there was some integrity to what I have done."